Whoa, where did our January go!? We're on our second month of the year, my loves and it's the love month! Some of us might be excited with the upcoming Valentines Day, but not me. I dunno…maybe because I never had a "proper" V-day. And when I say proper, I meant candlelight dinner with a bouquet of flowers, walking holding hands in the park after…you know, all that stuff. Bitter ang peg? Not really. It's just that I have never experienced that. Mr. X is not into such things. He is, but not during V-days. We opt to stay at home, call for delivery or if ever we go out, we just watch a movie and/or have dinner in a casual restaurant. So yeah, I guess my bonggang V-day is yet to come. Until that, I'd remain unexcited for it. What I'm trying to say is, if you're friends with my hubs, please let him know my sentiments. 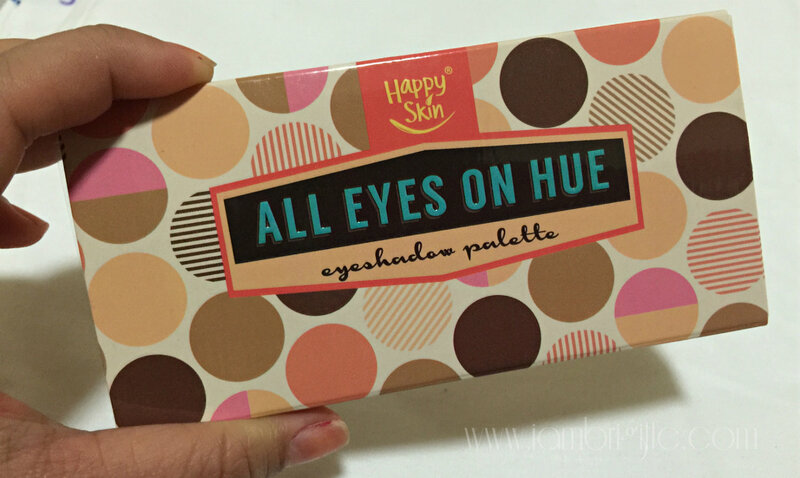 Anyway for today, let me share with you my current favourite toy…something I reach out for on most days, the Happy Skin All Eyes on Hue Eyeshadow Palette. I love that it comes in an eye-catching magnetic carton packaging that is easy to bring along when you travel. It doesn't take too much space and is lightweight. At the back, it has 3 sample looks that you can use as reference. 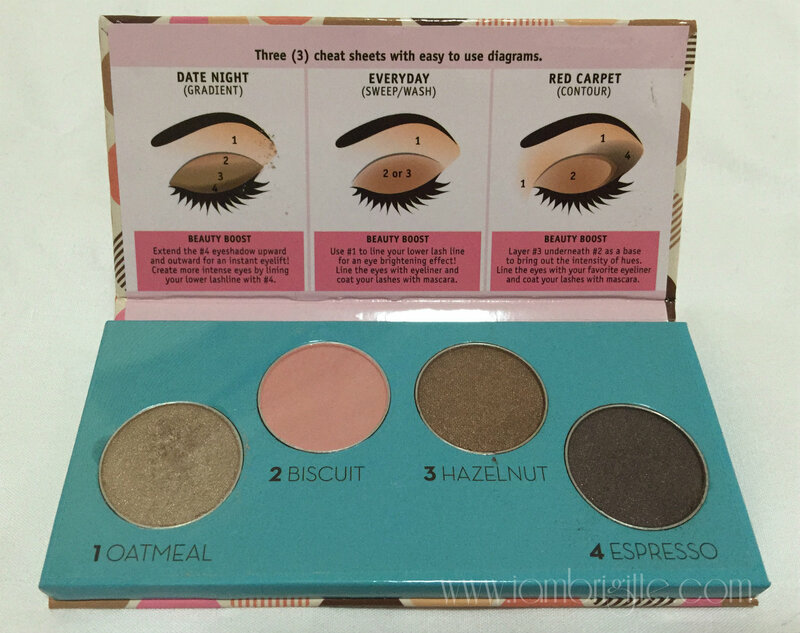 This makes this palette great for those who are just starting out with playing on eye makeup. 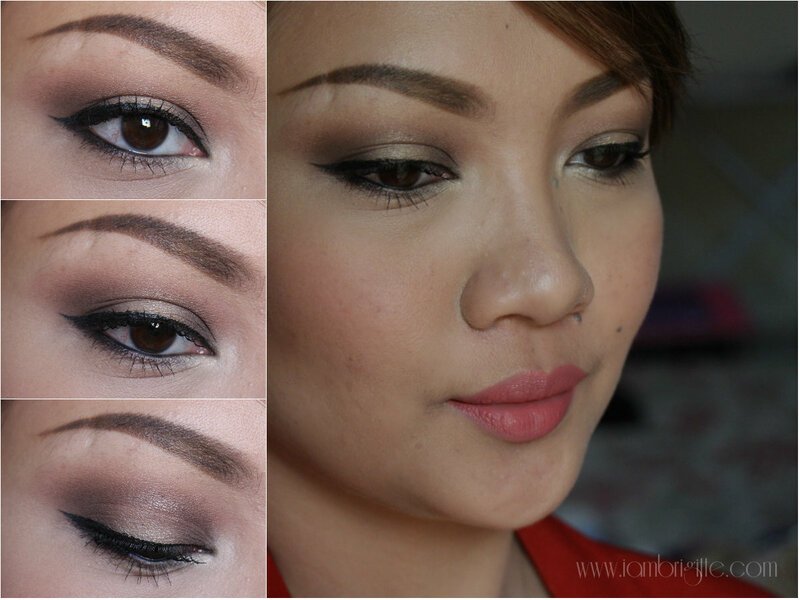 The palette features 4 neutrals that can bring your eyeshadow look from day to night. 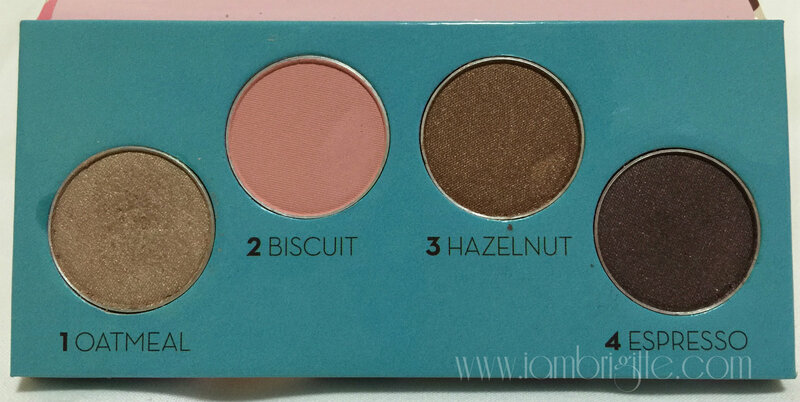 Each of the shades can be used on its own or blended with the others to create a more vavavoom look. 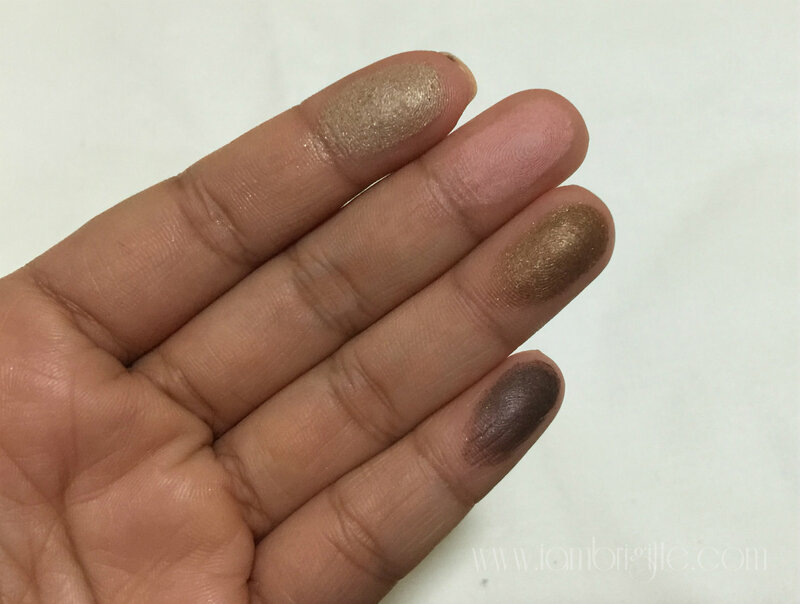 3 of the shades have shimmers, but they are so fine they won't make you look like a disco ball when worn. 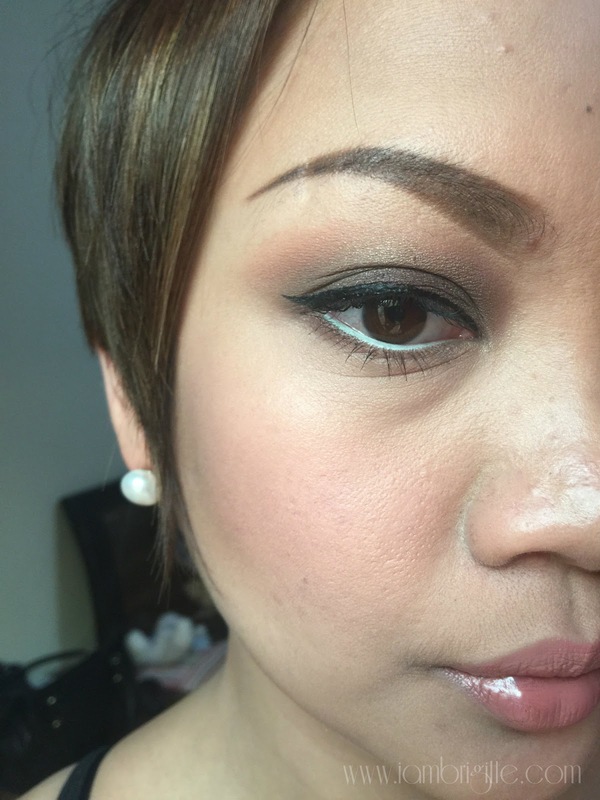 The pink shade is matte, making it a great blending shade on the crease. I personally love a warm medium brown for a blending shade, something like MAC Bamboo, so I wish this palette comes with one though. 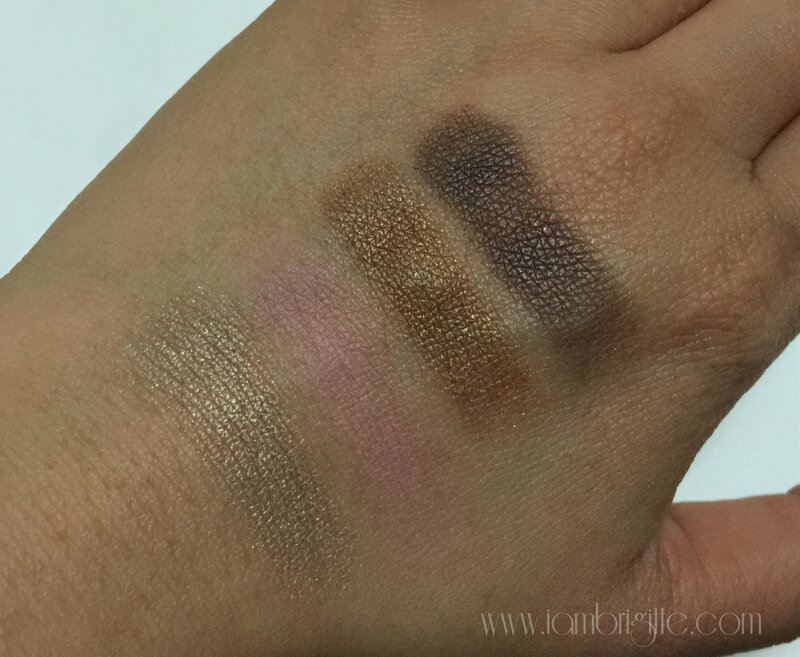 Pigmentation is good, except for the pink that you might to pack on to get more colour. 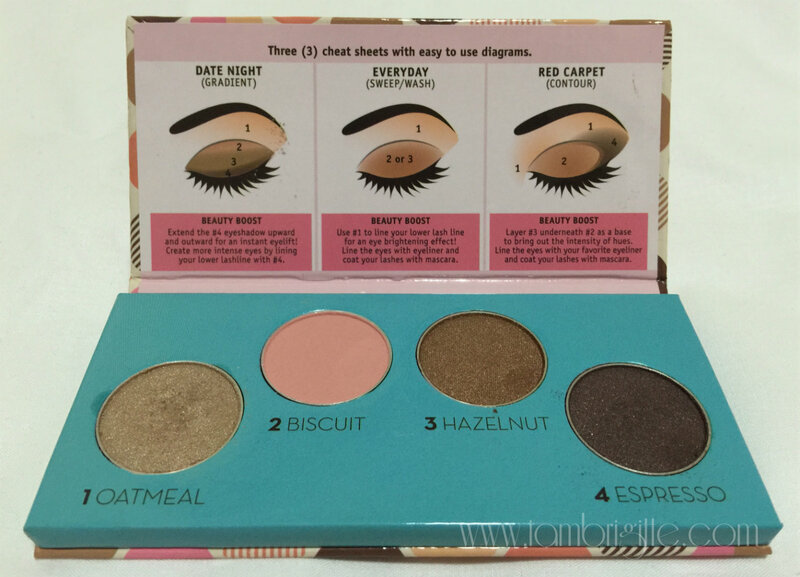 The eyeshadows are easy to blend, you don't need to be a PRO to use it. Just pat (don't sweep, to avoid fallouts) it on the lids using a flat brush and using a fluffy eyeshadow blending brush, blend it upwards to get rid of the harsh lines. When I'm too lazy but still want some colours on my eyes, I only use a single shade. I pat it on, then blend upwards. 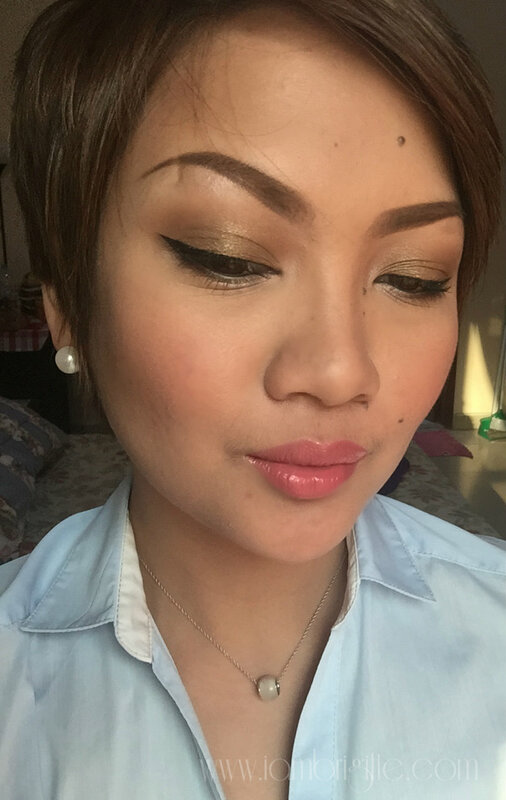 If you have oily lids, I suggest that you use an eyeshadow primer. But the thing is, I have oily lids myself and yet it doesn't look like I need one whenever I'm using it. This is priced at Php1299, not cheap but it's worth its price IMHO. As with all Happy Skin products, it doesn't just make you look beautiful but it also cares for your skin. It is infused with Argan Oil to keep your delicate eye area nourished and moisturised. Believe me, it's something that you'd find yourself using often most especially if you are into neutrals. It's so easy to use, practically fool-proof, I must say. 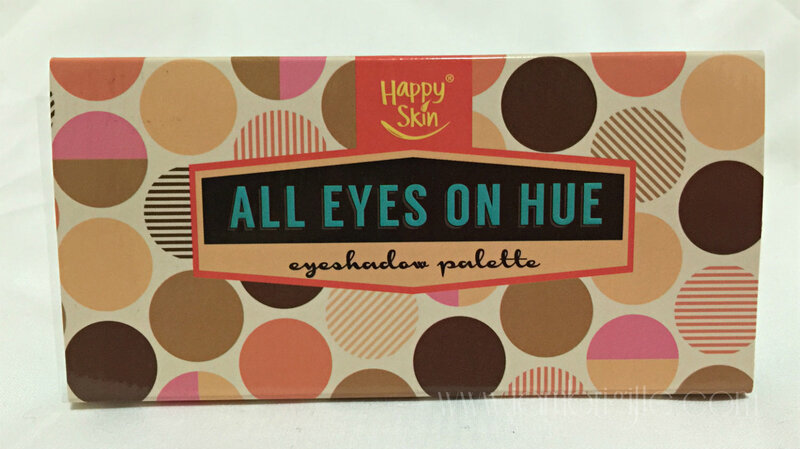 I am definitely looking forward to more eyeshadow palettes from Happy Skin. And hopefully, they will come up with something more colourful…you know, something for my Happy Friday, I mean Thursday looks. 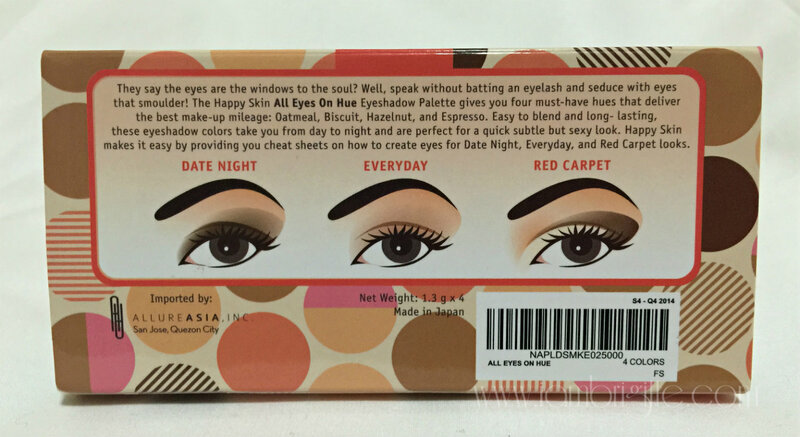 The packaging in really cute and I love the natural effect in the eyes. I love browns in the eye.